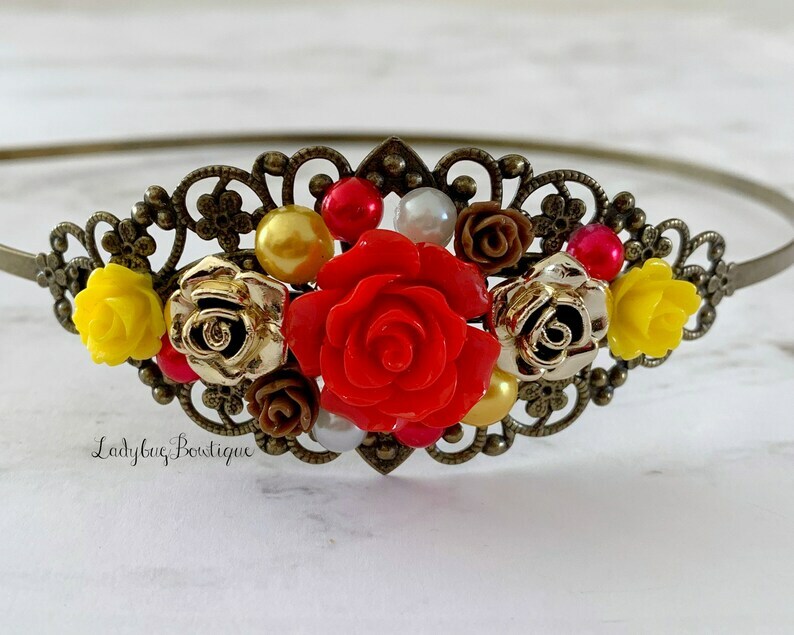 A gorgeous headband with vintage styling, fit for a princess! Adjustable and flexible headbands is petite, light, and non-pinching. It is covered with a variety of resin cabochons and pearls. The filigree base measures 3.25" x 1.25". Not for children under 3. This style is suited well for older girls, teens and tweens, and ladies. The modeled photos are provided to show styling and size, and may not represent the exact headband that you are purchasing. I can’t say anything but LOVE this girls work. Super fast shipping super fast communication and just all around GREAT seller!!! !